Live two weeks immersed in a beautiful and spiritual land. 7sky.life, Waterwalk and Hélène Le Berre come together to offer you an extraordinary holiday. We have curated an experience – a wonderful mix of physical and spiritual activities that will deeply nourish your body, soul and spirit. Let yourself be guided into a timeless space where well-being reigns, and come out totally refreshed, ready to begin the year 2019 with serenity and deep joy. We all have our role to play on this earth. Now more than ever. Let us give ourselves special moments to fill ourselves with our essence, and to receive the keys to never again have to “undergo life”, but to be able to carry it out of our own free will. It is time for the fires in each of us to light up and to remember who we are so we can carry out our mission. 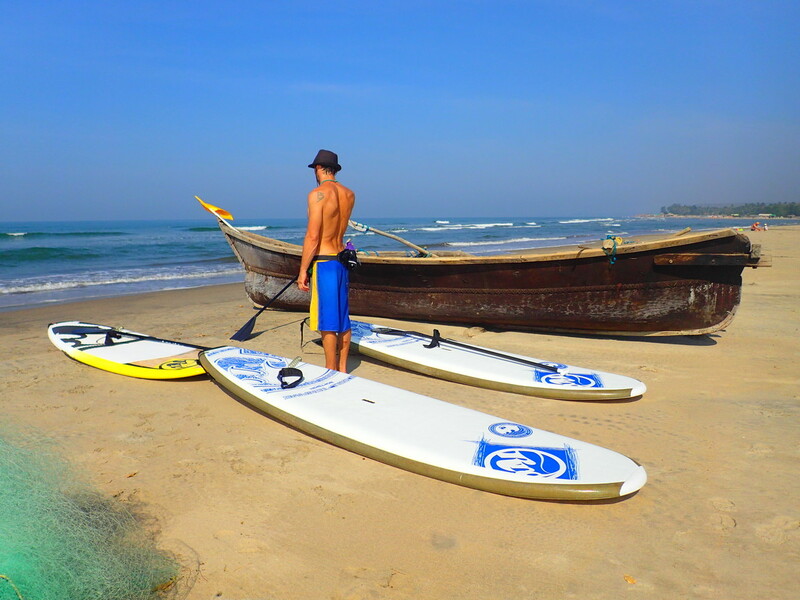 A varied daily program is proposed during the stay through yoga, meditation, mantra chants, sharing circle as well as the possibilities of getting in more active contact with the water element through the practice of Stand Up Paddle (SUP) and surfing and freediving … SUP rides while watching dolphins will certainly be one of your highlights! Ayurveda massage sessions or other renovating treatments like Reiki, Yoga Therapy etc can individually complement your stay. We shal visit local and artistic markets, cafés, concerts, sunset drum circle etc will make up your cultural and artistic activities. Coco Tâche, Kundalini yoga, story telling & sharing circles. No activity is mandatory, you can choose what speaks to you at the present moment. / 1’350 CHF (share room/2 pers in Eco Lodge, common toilette and shower). / 1’450 CHF (share room/2 pers with private bathroom). / 1’650 CHF (single room in Eco Lodge,common toilette and shower). / 1’850 CHF (single room in Eco Lodge with private). Other taxi transfers for organised programme. Stand Up Paddle and Surf at disposal during the camp. Since 2010, WaterWalk has the pleasure to make you discover this sensation of walking on the water and invites you to come and share it with us.